Nephila Capital, the world’s largest insurance-linked securities (ILS) investment manager, has announced that it has received approval from the Lloyd’s Board (previously called the Franchise Board) to form its own managing agency. Nephila’s Syndicate 2357, which is backed by funds managed by Nephila, has been managed by Asta, a third party syndicate manager at Lloyd’s, since its inception in 2013. Now that Lloyd’s has approved the project, Nephila Syndicate Management Ltd (NSM) will submit an application to the PRA/FCA and will likely assume management of Syndicate 2357 in mid-2019 on receipt of formal authorisation. 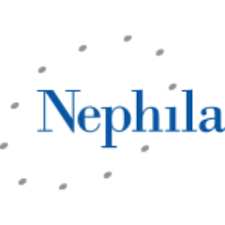 Nephila also announced the appointment of Adam Beatty, currently the Active Underwriter of Syndicate 2357, to the post of Chief Executive Officer (CEO) of NSM, in addition to several other key hires. Gina Butterworth will succeed Beatty as Active Underwriter of the Syndicate, effective January 1, 2019. She joined NSM in June as Director of Underwriting and has previously served as Director of Underwriting at ERS, before which she held a number of senior roles at Chaucer. Irfan Haq is also due to join in October as Director of Finance and Operations. He currently serves as Chief Financial Officer (CFO) at Occam Underwriting and has prior Lloyd’s market finance experience from his seven years at CNA Hardy. Charity Bare joined NSM as Director of Risk and Compliance in May, having previously served as Head of Risk at Talbot Underwriting and as a Risk Manager at Brit Insurance. Additionally, Sam Drysdale is set to join in September as Head of Claims, having previously held senior claims roles at Fidelis and at Renaissance Re Syndicate Management. Finally, Salil Parkash will transfer from Nephila’s technology team to become Head of IT for NSM. Parkash joined Nephila in August 2015 and previously worked at Commerzbank. “We are excited about this new phase in the development of Nephila’s business at Lloyd’s. Over the last five years the Syndicate has grown into a significant underwriting platform for Nephila’s funds,” said Adam Beatty.